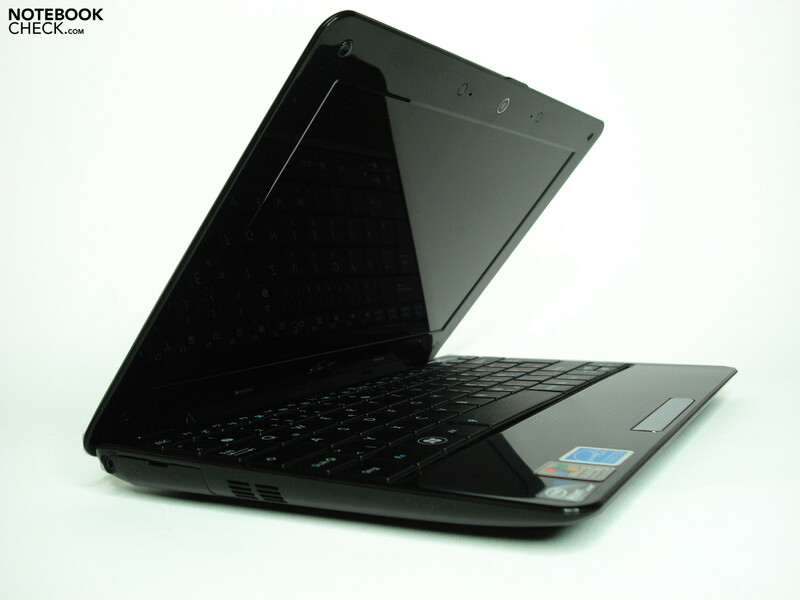 Asus, the "netbook pioneer", constantly extends its portfolio, and with the 1008HA it has a rather different mini-notebook in its range. At a weight of 1.05 kg and prices from 380.- Euro it has to show in the following review whether the other qualities are convincing. In Germany, Asus (Asus Germany Hompage) currently only offers two different models which differentiate themselves by means of colour. 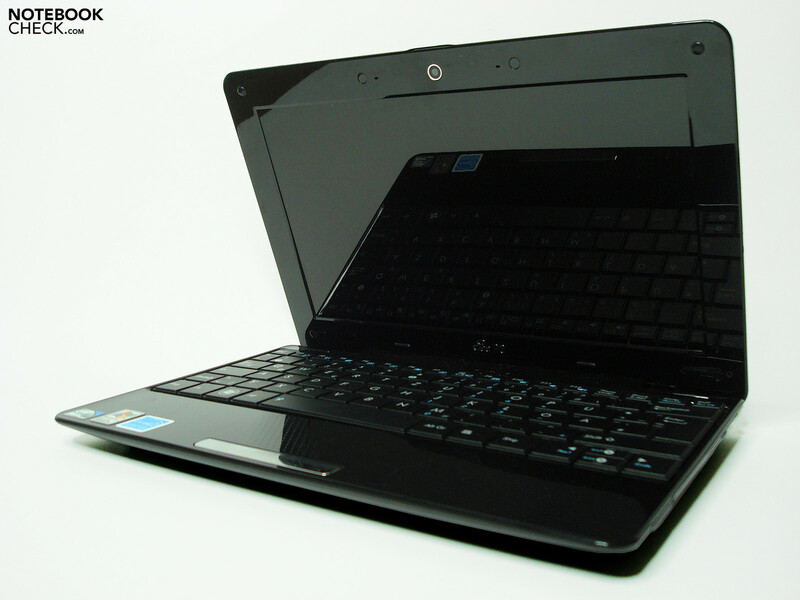 Black or white are available and the well-known hardware of the Intel Atom platform with N280 CPU, GMA 950 graphics and 160 GB Seagate hard disk is clothed visually very smartly. The colours pink, blue, sapphire blue and ruby red are currently not available. 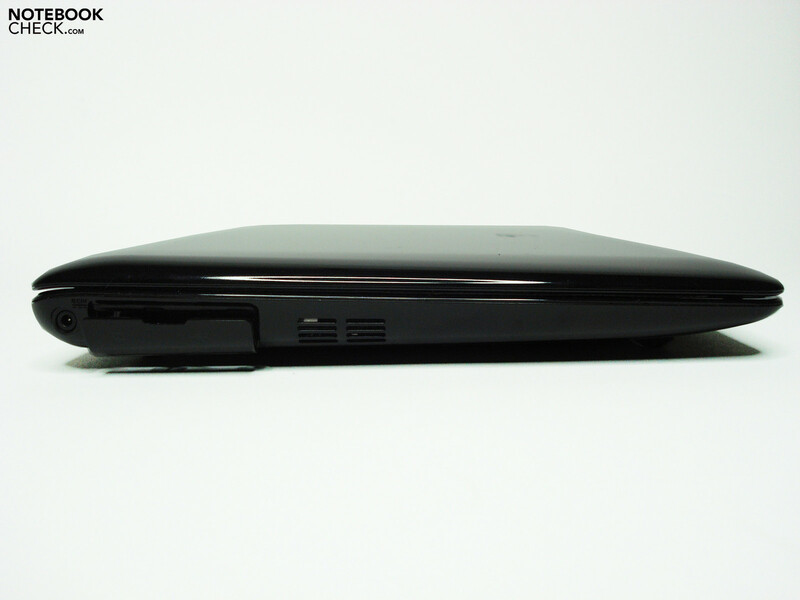 The construction of the Asus Eee 1008HA seems very slim, almost even delicate, which above all results from the low silhouette and the slenderly tapered case parts. 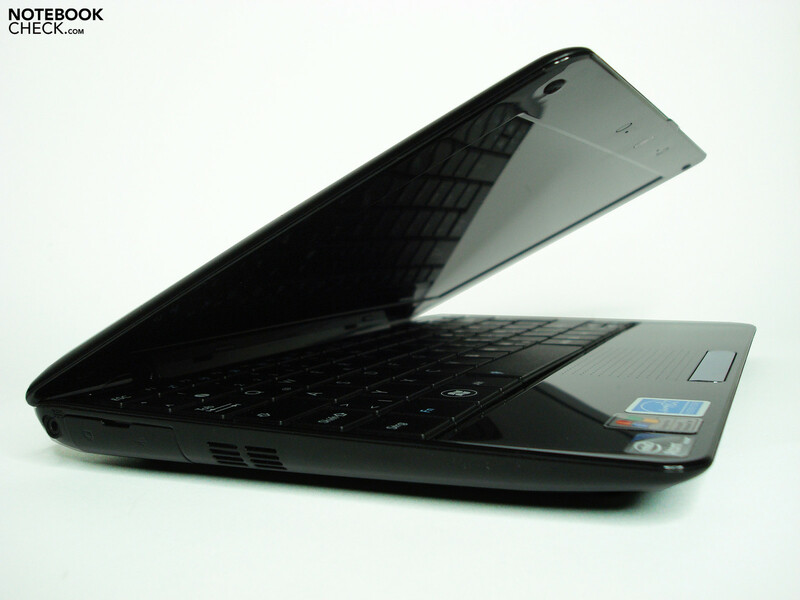 Elegant, thin and light are thus also the qualities of the Asus, as the 1008HA is credited with the nickname "seashell". In order to reach the closed entity of a muscle, all external openings have apparently been airbrushed out and this produces a monolith-like netbook. The interfaces are hidden behind flexible protective caps, which only if required pry open the closed surface. 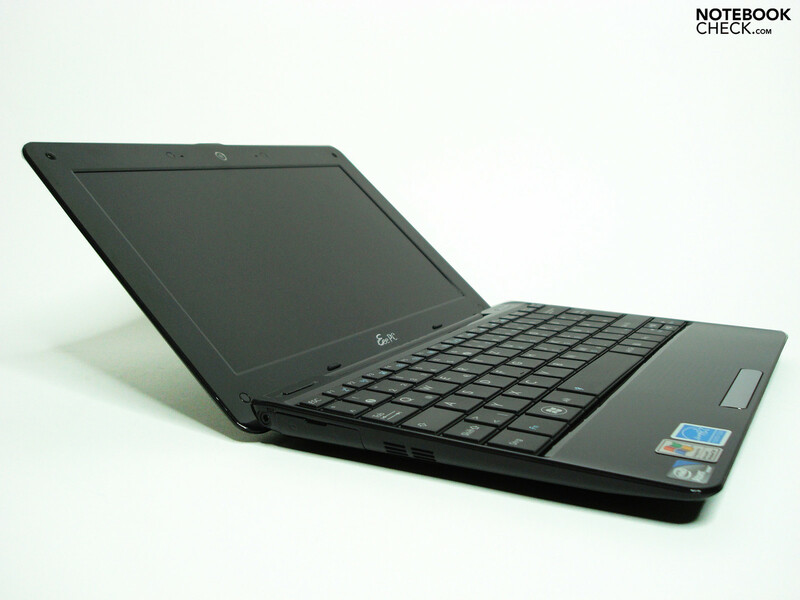 With low dimensions of 25.7(H) x 262(W) x 178(D) mm and a weight of 1.05 kg it furthermore actually belongs to the most mobile of 10" netbooks and in this subdomain provides basic properties that are often wished for. Our test model is available in black or white. Both variants together are complete with a high-gloss finished case surface. Our black test model indeed looks very smartly polished, yet even with the most careful handling it is quickly afflicted with fingerprints and small marks, which lead to a "greasy" outfit. The white model emerges from our review experience, in this respect, to be fundamentally more user-friendly. Whilst this essentially produces an optical unsightliness, even the display borders which turn out to be particularly wide are an additionally irritating factor when working due to the mirrored surface. 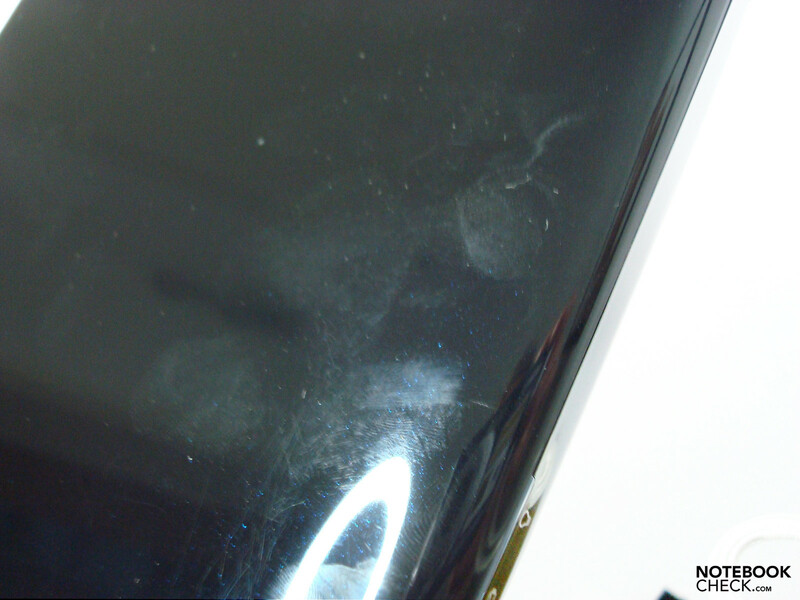 The case material underneath the paintwork however makes a good impression almost everywhere and is strongly elastic only in the area of the display mounting. The visually very appealing display hinge solution can in addition not keep the display still so well, like some competing models, and more quickly allows for a seesawing as usual. The torsional stiffness is surprisingly high despite the slim exterior and reveals no drawbacks. Regarding the long term durability indeed there could be concerns with respect to the rubbered interface covers. The deployed material could become spongy and split after intensive use and in addition it could lose fitting accuracy. 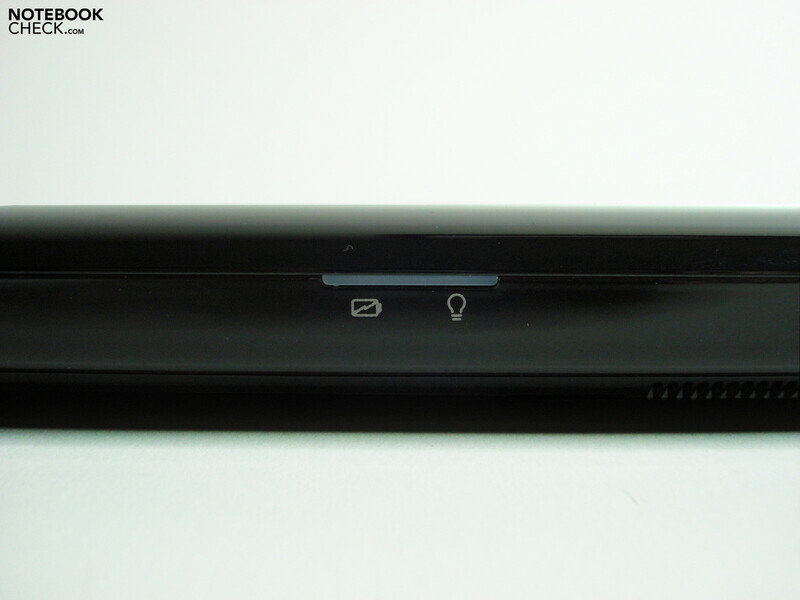 The Lithium polymer battery at 32Wh is permanently integrated, an exchange by the user is not allowed. Alternatives with higher capacities are not available. A particularity on the Eee 1008HA, as already mentioned, is presented with the interface ports which are hidden by rubber coverings. 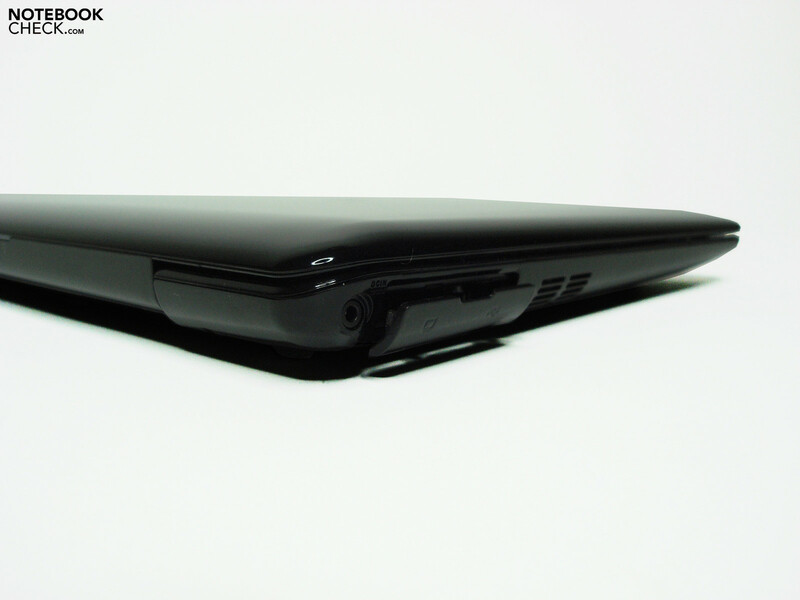 On the one hand the external appearance is distinctly rounded off and arouses the impression of a monolithic netbook and on the other hand the rubber covers protect the connections from external influences. However, whoever often plugs in and unplugs external devices will quickly be annoyed at the fiddly handling and would rather leave the protective cap open. The arrangement of connections is successful and is only lacking in the front integrated audio connections. 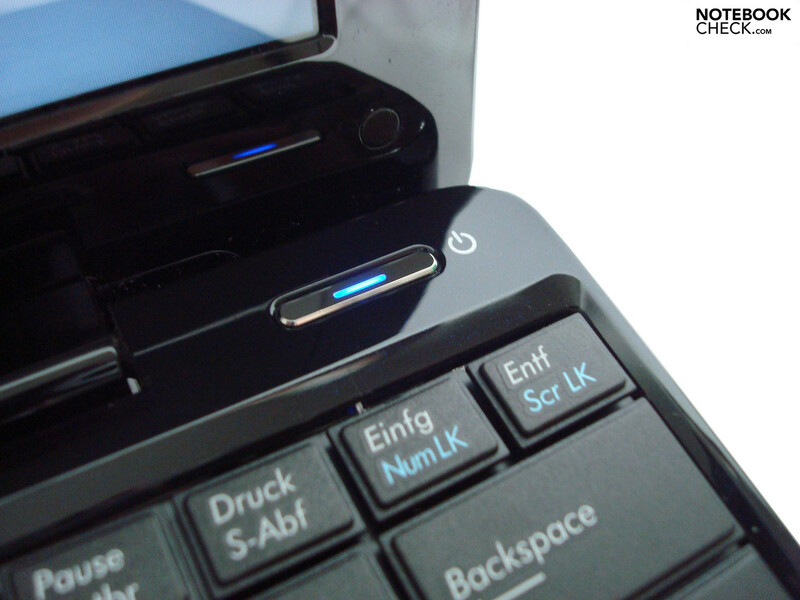 The otherwise standard third USB connection on netbooks that's lacking will stand out negatively only for peripheral junkies, who have to have several devices in operation often and at the same time. The wireless connection possibilities are good with draft-N WLAN and Bluetooth, currently not available are UMTS-equipped variants. 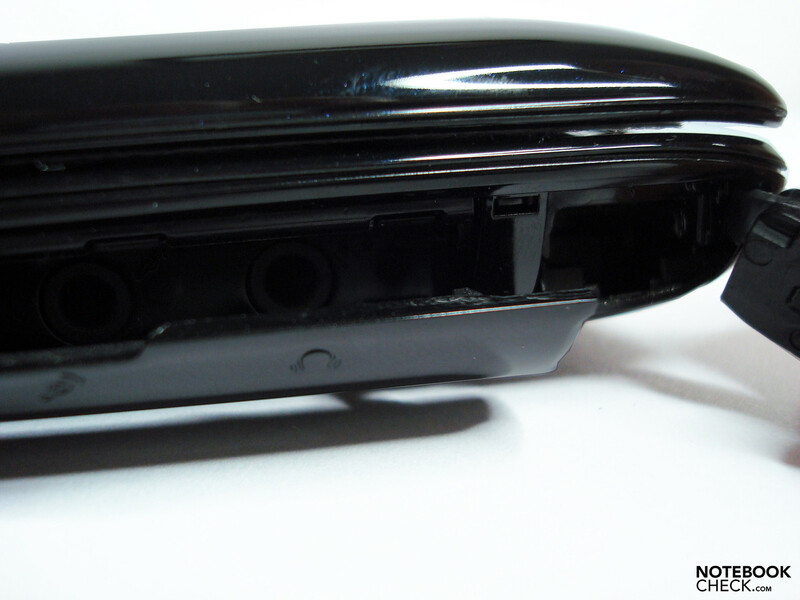 The VGA adapter itself is banished to the underside and is completely removed and then connected to the mini-VGA connector, which is hidden behind a covering and thus gives more room on the left hand side of the case and respectively primarily allows the low height. The power supply has also been designed to be very small, which consequently adds to the compact and light engineered power pack (190g). Apart from that you'll also find an Ethernet port and the card reader on the sides. 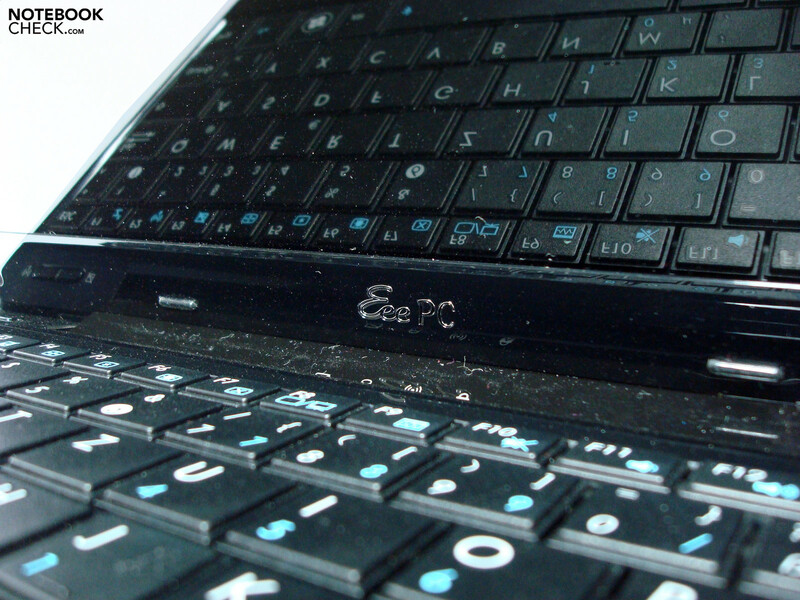 The usual covers on the underside for reaching the components are lacking on the Asus Eee PC 1008HA. 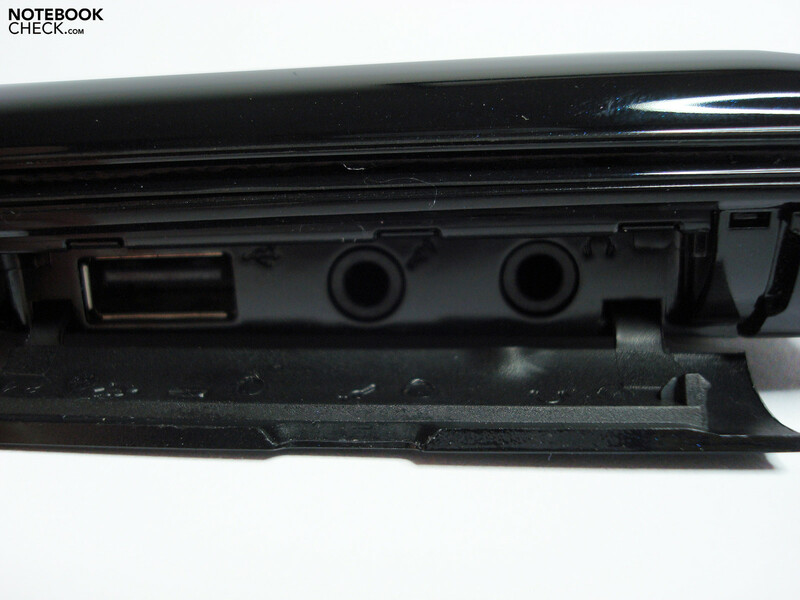 Here you would have to remove the entire underside cover or the keyboard in order to reach the exchangeable parts. 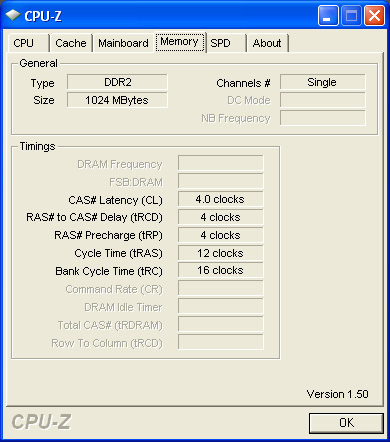 This is not necessarily very user-friendly, as at least an upgrade of the main memory could be a very probable wish. Nevertheless: whoever doesn't want to lose their possible guarantee entitlement of 24 months should leave the sealed compartments at all costs. The 160 GB hard disk befitting one's rank as a netbook is added to by 10 GB of online storage (Eee Storage). As an operating system the class-standard Windows XP comes into play. 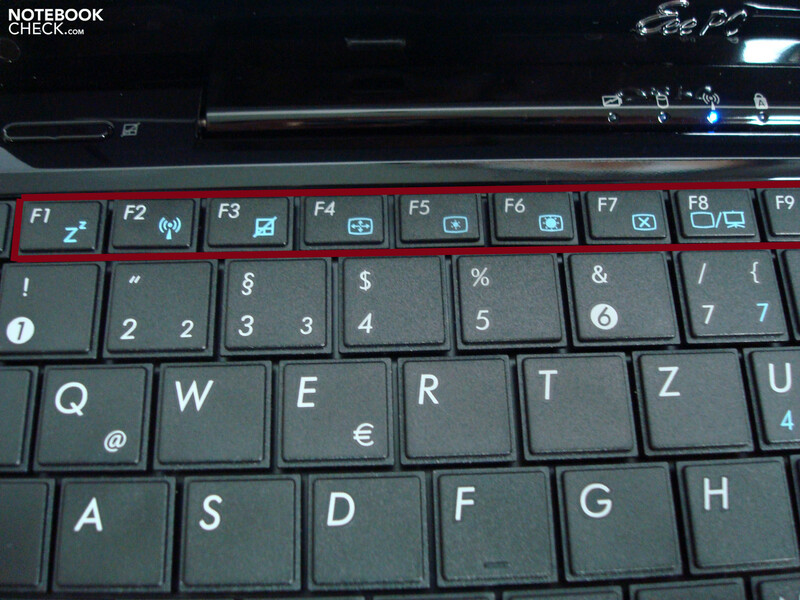 The really comfortable keyboard, due to the relatively large key size, has a useful layout with the standard special functions in the F-key area. Somewhat unusual is the arrangement of arrow keys, which trades off the particularly small up/down keys for plus size right/left keys. On the whole the input offers a pleasant attack with medium stroke and unobtrusive background noise. Due to the substructure not being optimal the keyboard caves is somewhat in the middle area, yet in usual practical use it causes no discernible constraints (those who write a lot should in any event choose a 12" keyboard). The palm rest area and touchpad form a continuous unit without edges or recesses. The sensitive area is distinguished by a dimpled surface. Primarily rather unusual, this should however lead to no limitations after some time of getting used to it for most users. 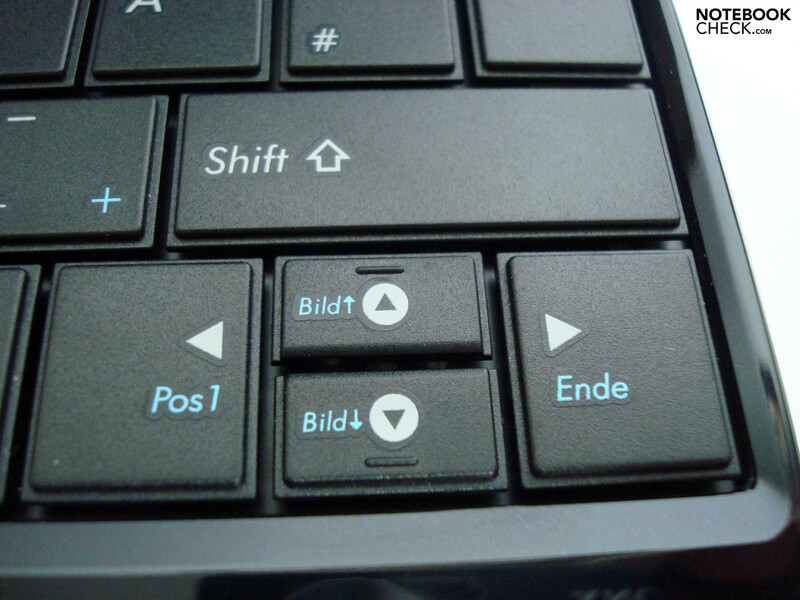 Somewhat more attention and adjustment is already demanded by the multi-touch functionality, which also already becomes active by mistake through normal double clicking or moving the cursor. A fundamentally more serious matter is the very sluggish touchpad key, where you should above all during extended use resort to an optional mouse. This reacts due to the key construction better in the edges than in the central area, yet it is merely suited for emergency use. 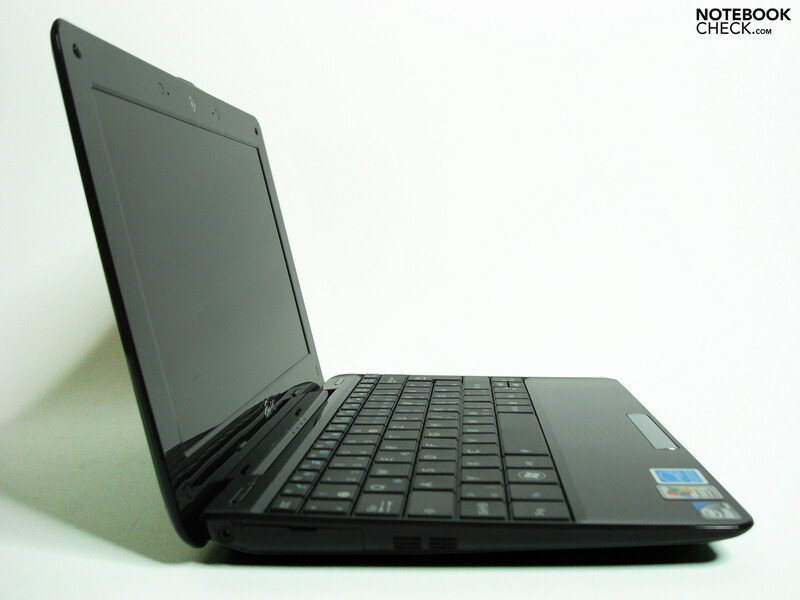 So far the Asus Eee PC doesn't need to hide behind the ever growing netbook competition and can even bring in new aspects regarding design and the port covers, which are useful for some users. Unfortunately this good first impression of the display qualities of the 10.1“ WSVGA LED glare display (1024x600) can't reflect any further. Although Asus has already shown on different models that you can spoil thoroughly usable displays, it appears that many possible negative qualities unite in the model at hand. 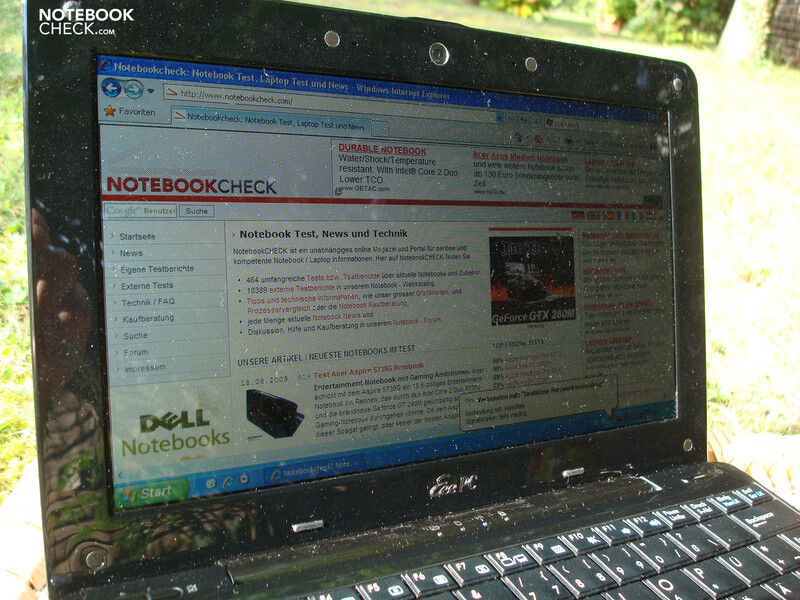 Alongside the already often and even on particular mobile notebooks inappropriately classified glossy panel surface, in addition the brightness- and respective contrast values are not convincing. Our measurement in the central area of 148.6 cd/m² drops off at the edges down to 126.4 cd/m² and thus suffices merely for unproblematic surrounding light conditions indoors. Bright surrounding light situations, like for example sunshine in the garden, or constantly changing lighting conditions, for example on a train journey, enable if anything work only with limitations. Furthermore the maximum brightness in battery use is unnecessarily reduced again to 131 cd/m². The average maximum contrast ratio of 171:1 and the really dull colours round off the disappointing picture. Regarding the viewing angle stability the colours in the vertical field wash out unusually quickly and strongly when looked at from an upper angle. Here already at 90° a strong decline in the colour saturation is to be seen. In the lower area, however, the colour strength continuously increases, yet instead in the practical viewing area this marginally reaches the otherwise standard reverse. Anyhow the horizontal stability turns out to be above average. Apart from low image alteration the perceptibility of the content persists and in this aspect displays no kind of weakness. 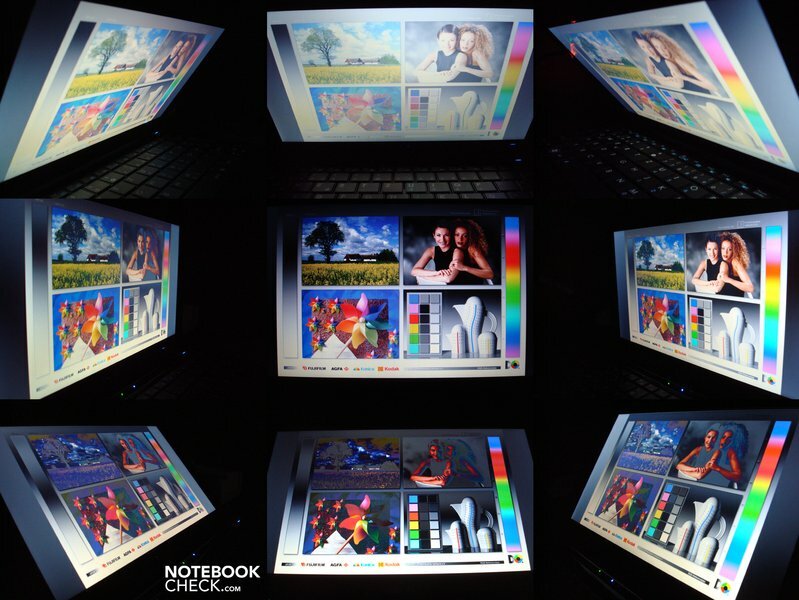 The illumination is very good for notebook circumstances at 85% and to a large extent is due to the LED background illumination. 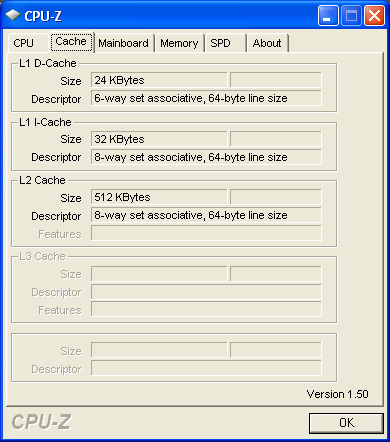 A useful gimmick is the possibility of a 1024x768 resolution in the display settings, which some programs require as a minimum condition (e.g. parts of MS Works). With this choice the higher, interpolated resolution isn't squeezed onto the screen surface at hand, rather outside of desktop elements, through scrolling up and down, in each case moved onto the existing display area. 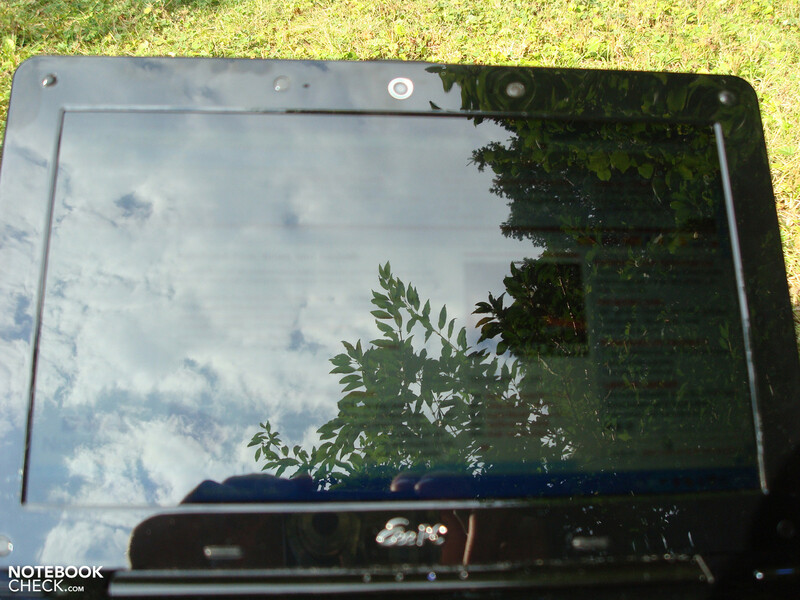 A possibility of the low display brightness to be put in the right way is offered by the help program Eeectl. This should however only be used by the user who takes the possible loss of guarantee into consideration and when he is aware of the risks. Asus advises against it and points out the possible damages that can arise to the display and the display controller. With Eeectl we reached brightness values of up to 234 cd/m², whereby none of our nine measuring points were under 200 cd/m². Regarding the other display qualities (e.g. : contrast 175:1, illumination 86%) indeed nothing much is changed, however the higher basic brightness brings a clear relief in bright and changing surrounding light situations, as the perceptibility of display contents increases and reflections are partly outshone. 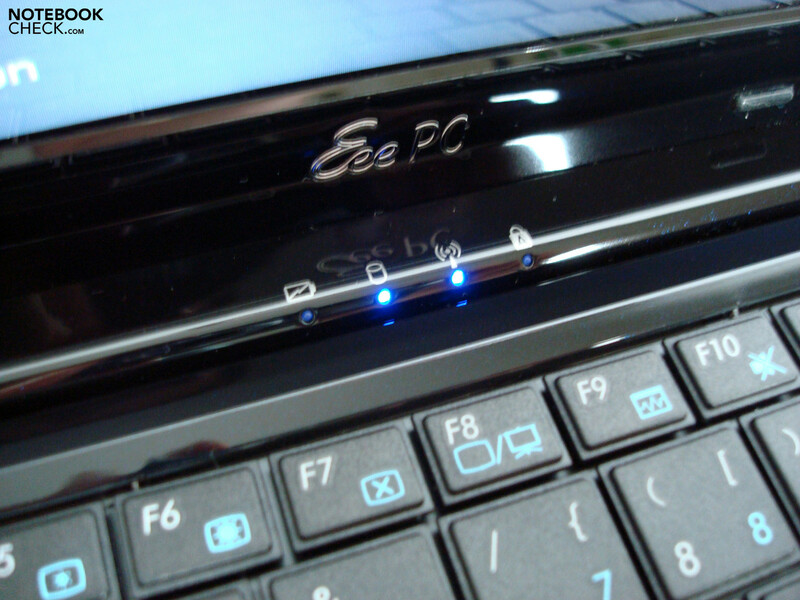 The brightness limitation by Asus in battery mode is annulled by Eeectl and allows use of the maximum values. 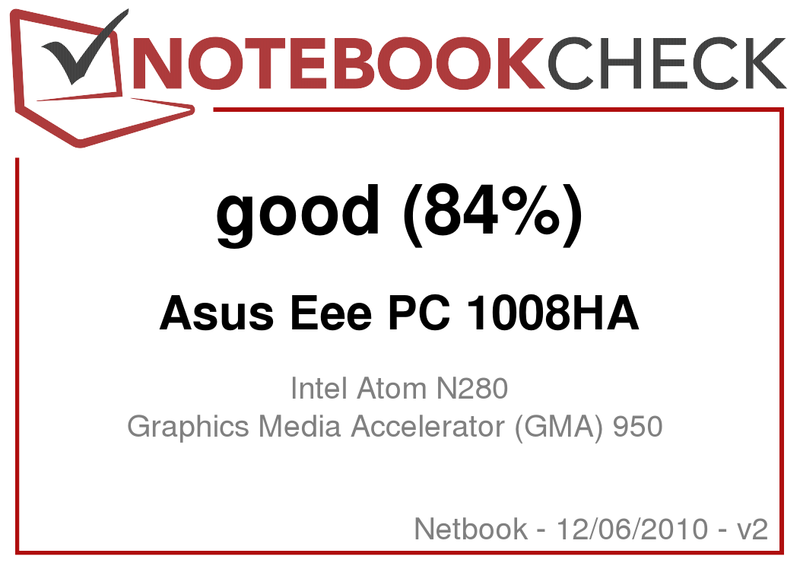 Already due to the combination of deployed components in the Asus Eee PC 1008HA, it is ranked as you would expect with the smallest deviance to the current armada of netbooks. 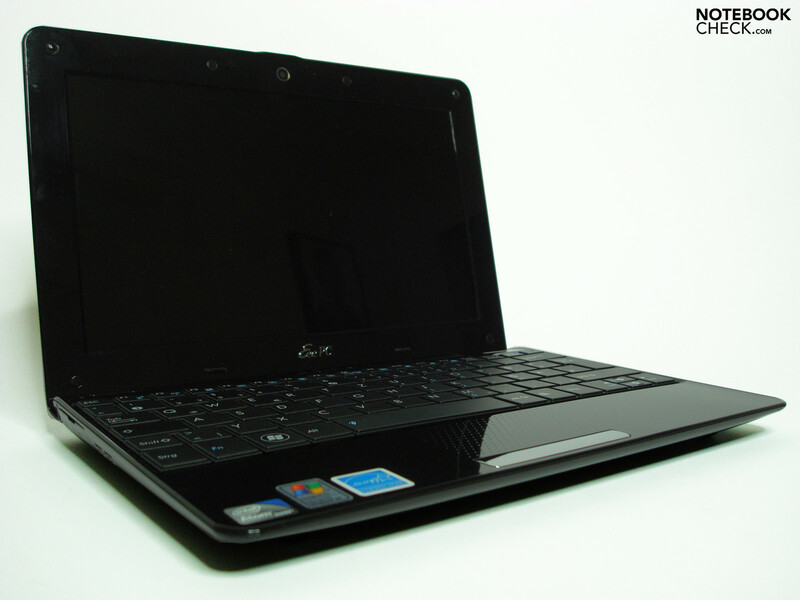 It offers an Intel Atom N280 CPU (1.66 GHz), the Intel i945 GME chipset with integrated Intel GMA950 graphics, 1 GB of RAM and a 160 GB hard disk from Seagate. 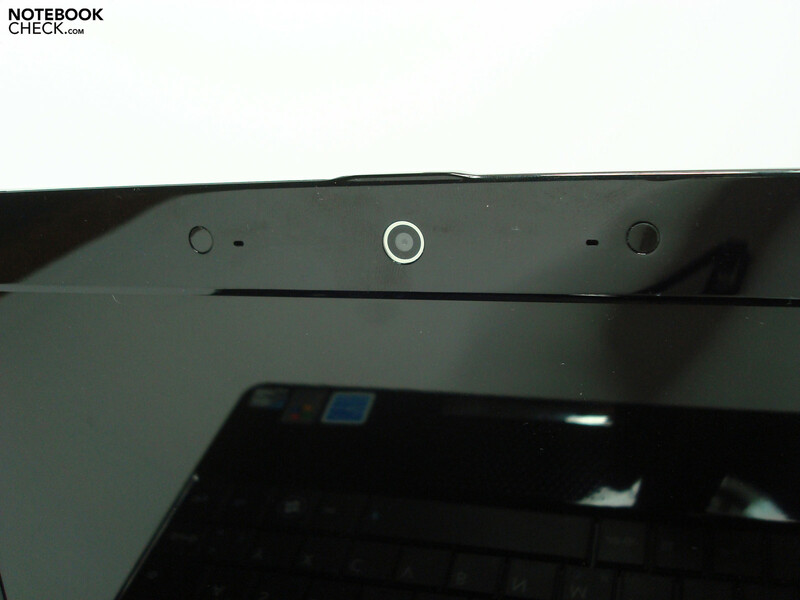 In PC-Mark 2005 the Eee PC reaches a usual number of points at 1647 and on 3D Mark`05 the GMA 950 reaches a corresponding 253 points. Office tasks, browser actions, Skype & Co are as ever no unrealistic tasks and to that effect are coped with well. Our iTunes test film "Shooter" (853x354) played it just as fluently as the film "seven" (754x322) which was even converted in the H.264 format. Other tasks are meanwhile not possible, as the system is running at 80% utilisation. Full-HD film material overburdens the test model at hand indeed and thus cannot keep up in this respect with the more powerful Intel GMA500 in connection with a corresponding video player with DXVA support (e.g. Power DVD). MP3 data lots are converted by iTunes somewhat more briskly into the AAC format at a 5.0x speed factor than the N270 colleagues, which can convert at a factor of 4.5-4.8x. 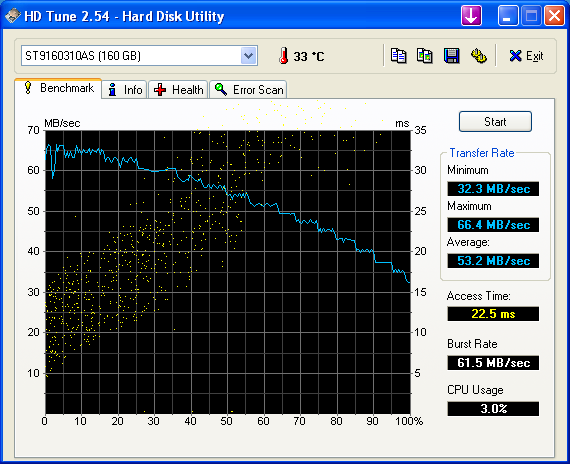 The hard disk belongs to the quicker candidates and runs at an orderly value at an average of 53.2 MB/s. 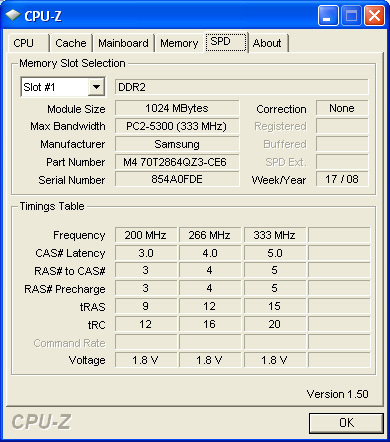 The other interface performance is likewise up to date and runs at 25.4 MB/s via USB and 17.2 MB/s (SDHC) and 17 MB/s (SD) via card reader with good values. 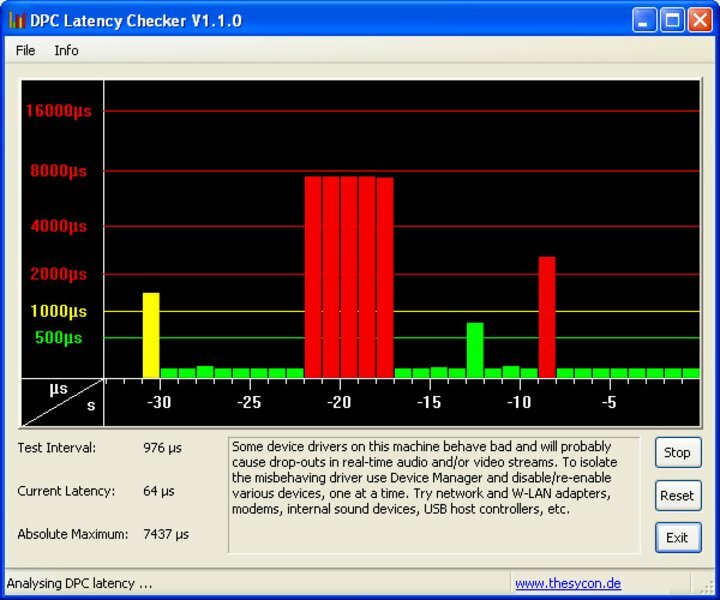 With the help program DPC Latency Checker we also checked the latencies on Windows XP. They were indeed mostly in the "green", yet it partly jumped up to the 8000 µs mark. 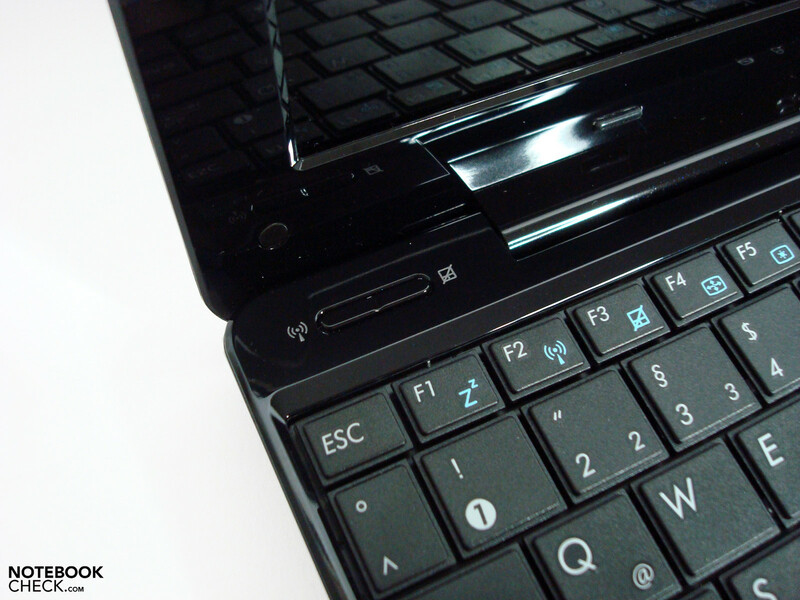 Thus it can lead to problems with synchronisation when connecting external devices, for example sound cracks when using external sound cards. 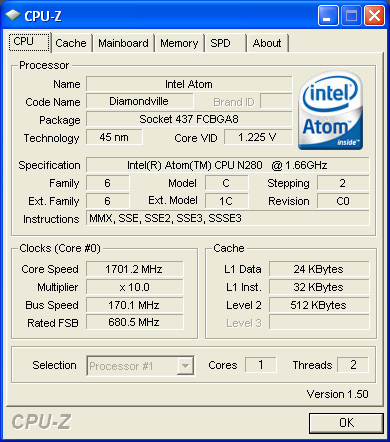 Overall the fan characteristic is very quiet in the test model at hand. From 29.2 dB(A) at little load up to 31.6 dB(A) at medium load the netbook is barely noticeable. Also the hard disk is very quiet at 29.2 dB(A) and the typical disk rattling is still barely noticeable after a short time. 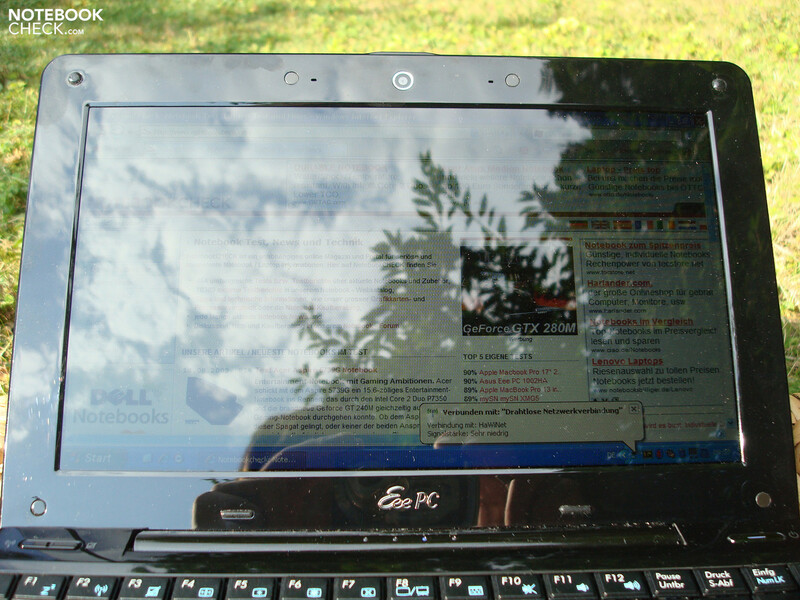 Under full load the Eee PC indeed then reaches up to 39.1 dB(A), which is less pleasant due to the dull noise and for most users this will barely be a discomfort. 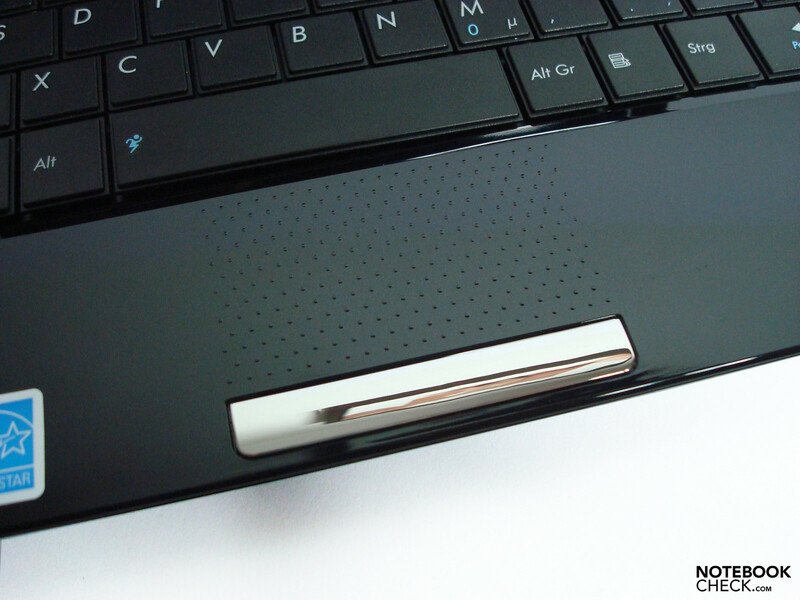 The heat development is very unobtrusive not only in the keyboard area but also on the underside. At 29.5°C as a minimum and an isolated 42.2°C as a maximum on the undersurface you barely need to fear any limitations. Merely the power pack becomes noticeably warm at 47°C. That is arguably the toll that you have to pay for the low size. (+) The maximum temperature on the upper side is 35.8 °C / 96 F, compared to the average of 33 °C / 91 F, ranging from 21.6 to 53.2 °C for the class Netbook. The loudspeakers are netbook-typically no sound prodigy and only suffice for makeshift sound playback in the absence of alternatives or an undemanding background sound. Strongly biased towards highs with little middles and barely noticeable basses, the sound characteristic is extremely minimalistic. Earphones, USB boxes or similar alternatives offer on the other hand a good enhancement possibility and like with almost all netbooks present a must-have purchase. On its homepage Asus promises up to 6 hours of battery life. With the built-in components it appears on first look, above all due to the low-capacity 32 Wh Lithium polymer battery, to be a bold estimate. In our consumption measurements however it is shown that the minimum consumption of 6.5 Watt could thoroughly allow battery run times in the promised region. Also the values under load with a maximum of 14.3 Watt cap the maximum consumption pleasantly early and thus even before the battery life measurements, hopes are raised with good cause. 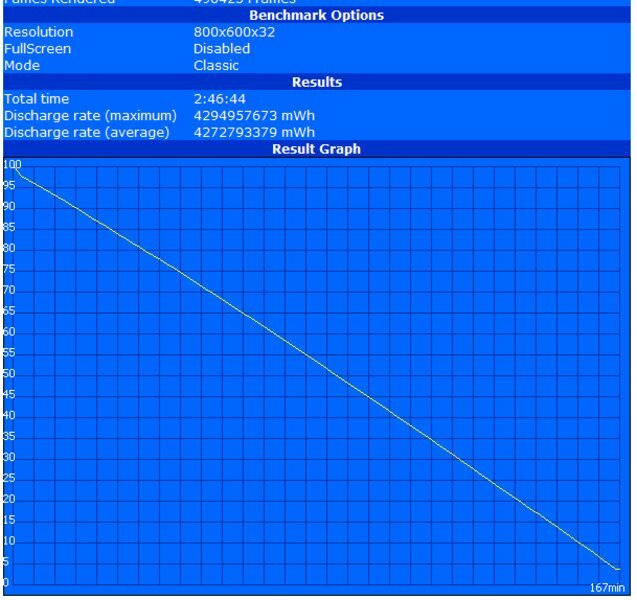 In the Battery Eater Readers Test (maximum possible battery life in Asus power saving mode) the Asus 1008HA eventually reaches a pleasant 297 min. of time in use independent of a power supply. That is in absolute terms in comparison to the competition indeed nothing special, yet it is nevertheless especially surprising, as this result was reached by a really small battery. 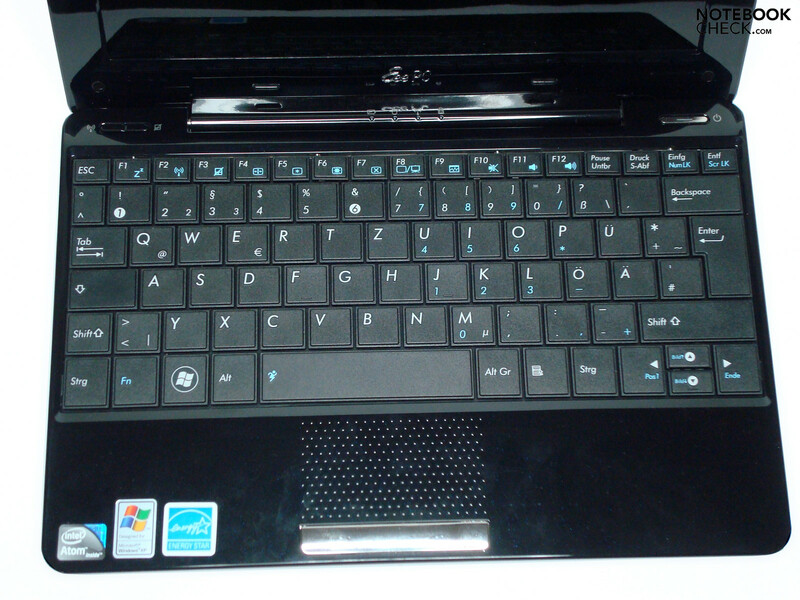 The Asus 1000HE netbook draws around 2-3 W more from the energy store like almost identical equipment. In practical WLAN surfing with maximum display brightness the power consumption only rises minimally and leads to a fit for work running time of 246 min. During playback of one of our iTunes test videos from the hard disk the netbook reaches the 3 hour border at 185 minutes and should thus even offer enough endurance for films of excessive length. Under load with all consumer loads on and full display brightness we could squeeze out 167 minutes of mobile work with the Battery Eater Classic Test (minimum achieved battery life). Indeed we didn't reach the promised battery life of 6 hours in our practical conditions (relating to the power consumption with display turned off), nevertheless we take our hats off to the energy efficiency, which the current model displays. Friends of screensavers should crucially reconsider their use at least running off the battery for the sake of the possible battery life. With its use we could establish an increased consumption of a rich 3.7 W compared to alternatives with the display turned off. Users of the Eeeclt tool must deal with an increased consumption of around 1.2 Watt with full display brightness and they must also take into account corresponding battery life losses. You can also roughly estimate the influence of the regulated Asus display brightness on the overall clearly reduced energy consumption and for this reason it accounts for a not insignificant proportion. The design pleases and also the associated interface covers will surely find their fancier. The performance is on the well-known netbook level despite optimised energy efficiency and is added to by the standard range of interface equipment. 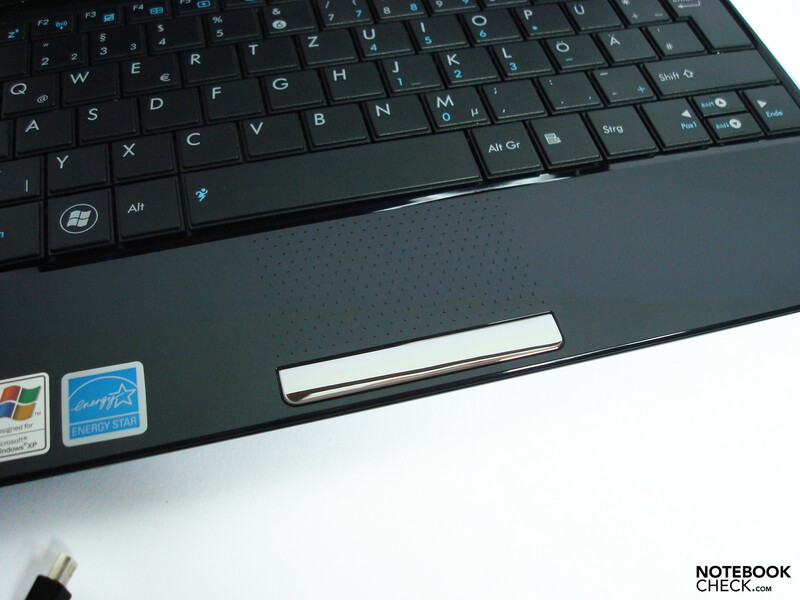 The keyboard is good, the overall weight low, and the sound emissions are very discreet. The arrangement of interfaces is almost optimal and only lacks a third USB port for massive use of external peripherals. The relatively dark, low-contrast and less colour intensive display turns out to be very limiting, in particular considering the otherwise attractive mobile qualities, which furthermore requires a lot of tolerance from the user due to the reflective surfaces. In eventful scenarios also the display hinges turn out negatively, as they cannot satisfactorily prevent a seesawing. Whilst the high-gloss case surfaces thoroughly find friends visually and also the associated dust- and dirt susceptibility can be accepted, the high scratch susceptibility isn't everybody's cup of tea and leads to lasting unsightliness. 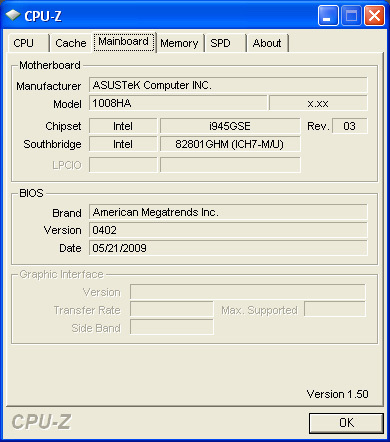 Furthermore, unfavourably for those wanting to upgrade are the permanently built-in battery and the unintended access from Asus of components on the inside. ...and status LEDs for hard disk, WLAN, battery etc. Due to the hinge construction there's a limited display opening angle. The great, simple and slim design. The enclosed neoprene jacket is also fancy and useful. A display with antireflective surfaces and improved colour-, contrast- and brightness values. In addition the case finishing could be somewhat less susceptible. Upgraders will miss unproblematic access to the components. 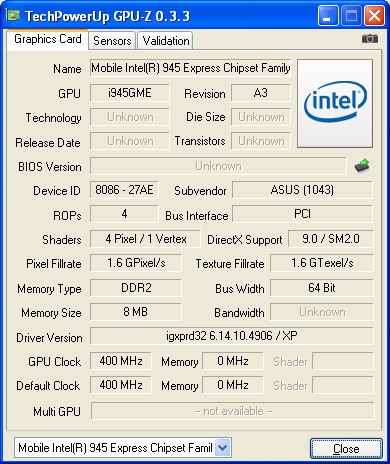 That Asus gets by with standard components with such clearly lowered power consumption and weight. 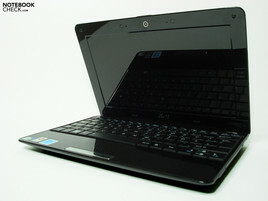 Is enormous, but no model is so light with a similarly long battery life. 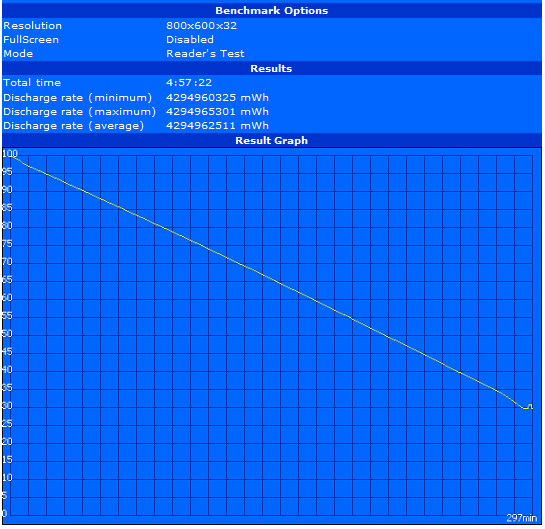 The similarly light Aspire One D250 only has a 24Wh battery and clearly gets hotter. The particular unique selling points of the 1008HA are not necessarily sales relevant. The MSI Wind U115 is of course heavier, yet it has a clearly better display, an enormously long battery life and can also manage almost everything a bit better.